Big-name comedy and music stars are coming to Frome! STARS of the comedy and music world are set to descend on Frome this year, making the historic town one of the hottest places to visit for entertainment in the whole South West. Already booked to come to Frome this year are top comedy stars Alan Carr, Jack Dee, Jasper Carrott, Alistair McGowan, Ben Elton, Zoe Lyons and Jethro; while music lovers can look forward to visits from Aussie pop-star Jason Donovan, iconic pop group The Osmonds, pop-star Toyah Wilcox, 90s bands S Club and 5ive, The Wurzels and Spandau Ballet star Martin Kemp. The big-name acts will be appearing in Frome’s popular venues; the Cheese & Grain, the Memorial Theatre; and The Merlin. The Cheese & Grain will be welcoming The Osmonds to the stage on Saturday 23rd February with their ‘Love me for a reason’ 45th anniversary tour. Originally planned for December, this rescheduled performance will see original members and brothers, Merrill and Jay, perform all the classic hits including ‘Crazy Horses’ and ‘One Bad Apple’. Next up on Saturday 2nd March, 90s’ bands S Club and 5ive return to Frome after becoming the fastest-selling show in the venue’s history, selling out two back-to-back dates in February last year. With a total of over 20 Top 5 hit singles between them, fans can expect a night of nostalgia, full of all the hits. Somerset legends, The Wurzels, will be performing on Friday 19th April at their annual Easter Good Friday gig. Best known for their 1976 number one hit ‘Combine Harvester’, the band have been entertaining crowds for four decades. Making his debut in Frome, former ‘Neighbours’ star and pop legend Jason Donovan will bring his ‘Amazing Midlife Crisis’ tour to the venue on Thursday 9th May. Fans of the Aussie heart-throb can look forward to an evening of stories about his life and career, as well as performances of some of his chart-topping songs. Later in May, on Saturday 11th, Spandau Ballet star, Martin Kemp returns to the Cheese & Grain with his 80s’ DJ set and an opportunity to meet him in person with a ‘meet and greet’ session. Martin will be taking to the decks to spin all the best of the hits from the 80s. Martin’s 2018 appearance sold out in record time, making this the biggest 80s night to ever hit Frome. On Saturday 14th September, comedian Ben Elton will have audience members rolling in the aisles with laughter kicking off his first tour in 15 years. For more than 30 years, the multi-award winning novelist, playwright, television writer, screen writer and stand-up comedian has entertained the nation. Back on the road with an all-new stand-up show, Ben promises to try and make sense of a world which appears to have gone stark raving mad. On Friday 15th February, the Memorial will be welcoming pop-icon Toyah Wilcox to the theatre with her ‘up close and personal’ tour. This lively, entertaining and revealing show comes in the form of Toyah performing an unplugged set of her well-loved hits and classic songs, alongside recalling stories from her colourful, 35-year career. Comedy legends Jasper Carrott and Alistair McGowan share the stage on Tuesday 26th March. With a career that has spanned five decades, Jasper Carrott became a household name with his many television appearances, including the long-running BBC comedy series ‘The Detectives’. BAFTA-winning impressionist, Alistair McGowan is best known for his TV show ‘The Big Impression’, which was one of BBC1’s top-rating comedy programmes. Audience members can look forward to a night of comedy stand up and impressions. On Friday 12th July, the acclaimed Cornish stand-up comedian Jethro comes to the Memorial Theatre. Over 4million DVD sales pay testimony to the size and dedication of Jethro’s followers. Jethro is famous for his own unique brand of humour, regaling West Country tales, making for a fun-filled night of adult comedy. On Friday 1st February, the Merlin will welcome comedian Zoe Lyons to the stage. Well known as a regular panellist on BBC2’s ‘Mock The Week’ and a much-loved figure on ‘Live At The Apollo’, the popular comic comes to Frome with a stand-up comedy routine full of quick-fire observational gags and witty one-liners. 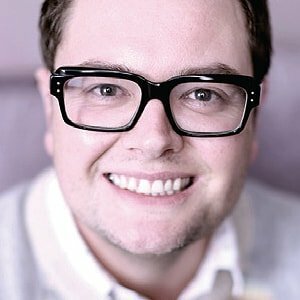 Star of Channel 4, Alan Carr, brings a ‘work in progress’ show to the Merlin on Wednesday 6th March. With a unique style of humour, Carr is often hailed as one of Britain’s most successful and treasured comedians. He has won a multitude of awards including the publicly-voted NTA and a prestigious BAFTA, and has presented 16 series of his comedy chat-show, ‘Chatty Man’. This is sure to be a show not to miss! On Friday 29th March, comedy legend, Jack Dee, brings a ‘work in progress’ show to the Merlin, trying out material for his forthcoming UK tour. Well known and much-loved for his brand of stand-up comedy, Dee is also known for his acting roles in TV sitcoms Bad Move, Lead Balloon and Josh. Dee’s show is already sold out – proving he is still as popular as ever.